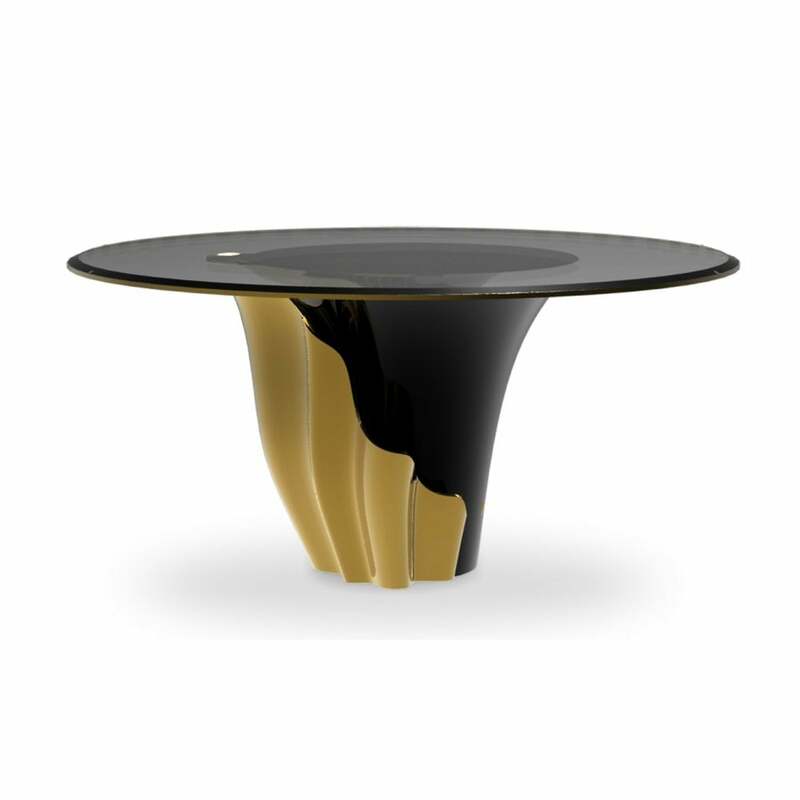 A central piece to any space, the contemporary design of the Yasmine table will have everyone doing double takes. The sultry silhouette is fashioned from tailored glass and mounted on a solid wooden base. Classic black lacquer and luxurious gold intermix arching back and forth to reveal each colour's respective dominance in the design. Base: Black lacquer and Gold Leaf.